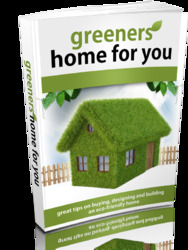 5.4.3.5.3(1), horizontal reinforcement, then it can be constructed without such reinforcement. The 5.4.3.5.3(2) minimum horizontal reinforcement (at a recommended amount given in Eurocode 2 for walls subjected to non-seismic actions) has to be placed only wherever the wall needs horizontal reinforcement to resist the design shear force. As there is no specific mention of minimum vertical reinforcement in Section 5, the pertinent rules of Eurocode 2 apply. These rules call for smeared vertical reinforcement at a bar spacing not more than 0.4 m or three times the web thickness, ¿>wo. If this minimum reinforcement suffices for the ULS verification of the section in flexure with axial force, then it should be placed in two layers, one near each face of the wall, both fulfilling the maximum bar spacing requirement. The minimum value of the ratio of the total vertical reinforcement in the cross-section is a Nationally Determined Parameter with a recommended value of 0.002. Both the smeared web reinforcement at the above-mentioned maximum spacing, as well as the vertical bars concentrated near the edges of the cross-section as described below for ULS resistance in flexure with axial force, are included in the total vertical reinforcement that has to meet the minimum ratio requirement. The vertical reinforcement that is needed, in addition to the minimum smeared reinforcement just described, to provide the ULS resistance in flexure with axial force should be concentrated in boundary elements, one near each of the two far ends of the cross-section (Fig. 5.12). The length, /c, of each boundary element in the direction of the length dimension Zw of the wall should be at least equal to bw0 multiplied by the maximum of 1.0 or 3<rcm//cd, where acm is the mean value of the concrete stress in the compression zone at the ULS in flexure with axial force and /cd is the design compressive strength of concrete. For the parabola-rectangle as diagram normally used in this ULS verification, the ratio <rcJfcd is equal to ¡p(l - ej'is^, with ec2 = 0.002 and ecu2 = 0.005 when the additional force due to the vertical vibration of the wall is considered to act as compressive or ecu2 = 0.0035 otherwise and with ip < 1 denoting the above-mentioned reduction factor for second-order effects in the out-of-plane direction. In the bottom storey of the wall and in any storey where the wall length /,,. is reduced with respect to that of the storey below by more than one-third of the storey height, hst, the vertical bars in the boundary elements should have a diameter of at least 12 mm. In all other storeys, the minimum diameter of these vertical bars is 10 mm. Fig. 5.13. 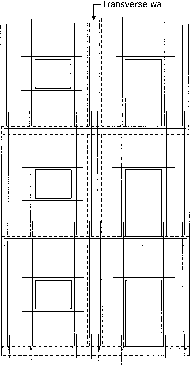 Horizontal and vertical steel ties in large lightly reinforced walls with openings engaging the four corner bars, but intermediate vertical bars in the boundary elements, as well as any vertical bars placed between the two boundary elements to satisfy minimum vertical reinforcement requirements, may simply be engaged by cross-ties across the thickness of the wall (see Fig. 5.12). These hoops and cross-ties should have a minimum diameter of 6 mm or one-third of the vertical bar diameter, dbL, whichever is greater, and a maximum spacing in the vertical direction of 100 mm or 8c?bL, whichever is less. A continuous horizontal steel tie is required along each intersection of a large wall with a Clause floor. This tie should extend into the floor beyond the ends of the wall, to a sufficient length 5.4.3.5.3(4) not only for anchorage of the tie, but also for the collection of inertia forces from the floor diaphragm and their transfer to the wall. Vertical steel ties are also required at all intersections of a large wall with transverse walls or with wall flanges, as well as along the vertical edges of openings in the wall. These vertical ties should be made continuous from storey to storey through the floor, by means of appropriate lapping. 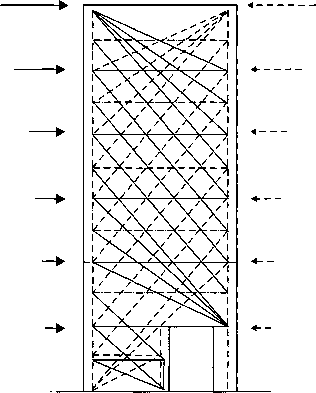 When openings are not staggered at different storeys but have the same horizontal size and location, vertical steel ties along their edges should also be made continuous through lap splicing (Fig. 5.13). Horizontal ties should also be placed at the level of the lintels above openings, but they do not need to be continuous from one opening to the other. Specific rules for the dimensions and the capacity of the ties are not given, but reference to the clauses of Eurocode 2 is made. Countries may include in the National Annex reference to complementary sources of information for these ties. How to design CORNER elevator shear wall by eurocode?